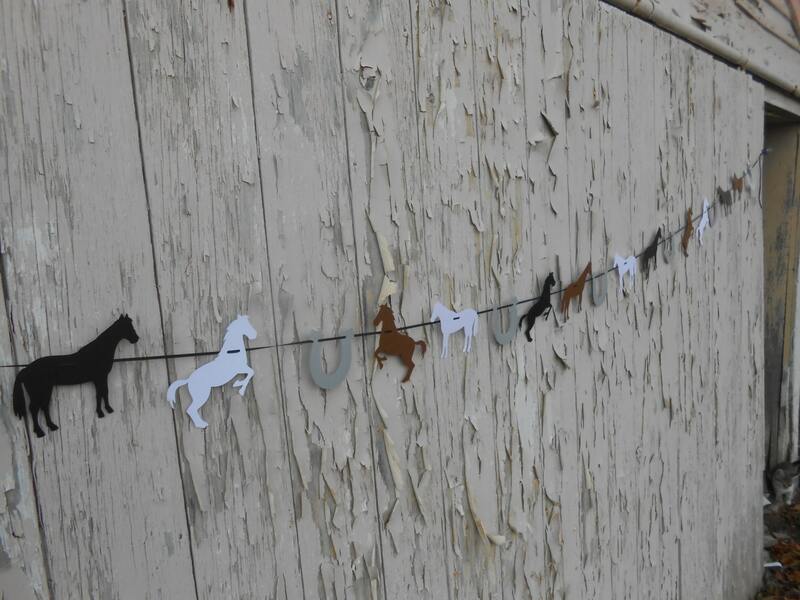 Horse & Horseshoe Garland. CHOOSE YOUR COLORS. Wedding, Shower, Birthday, Home Decoration, Cowboy, Western. 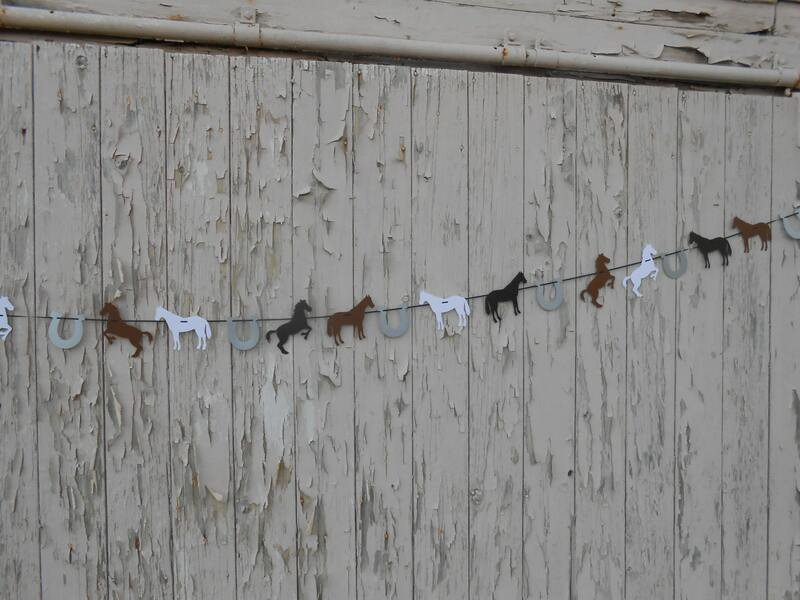 This garland would be perfect for a Western or Horse themed party! You get to choose your length. 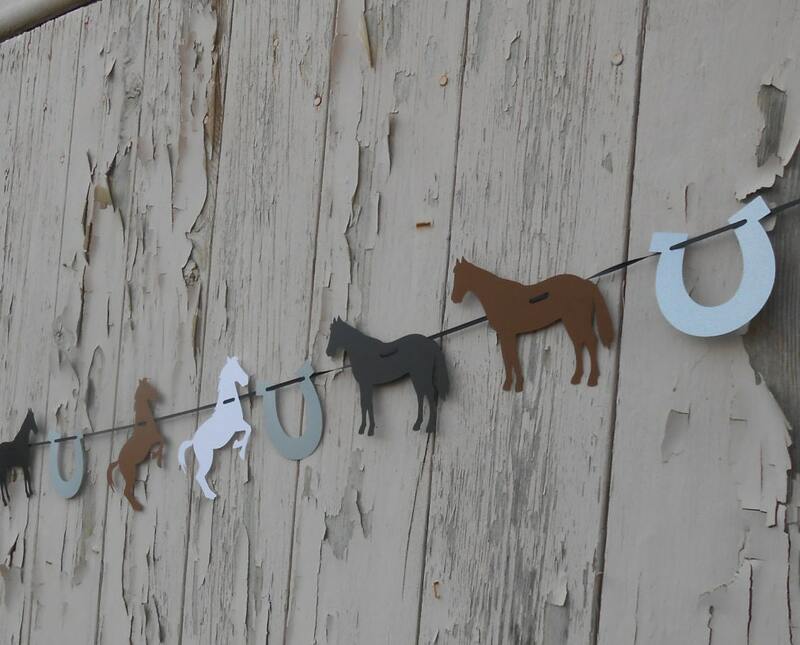 There are two styles of 5" horses and 5" horseshoes. 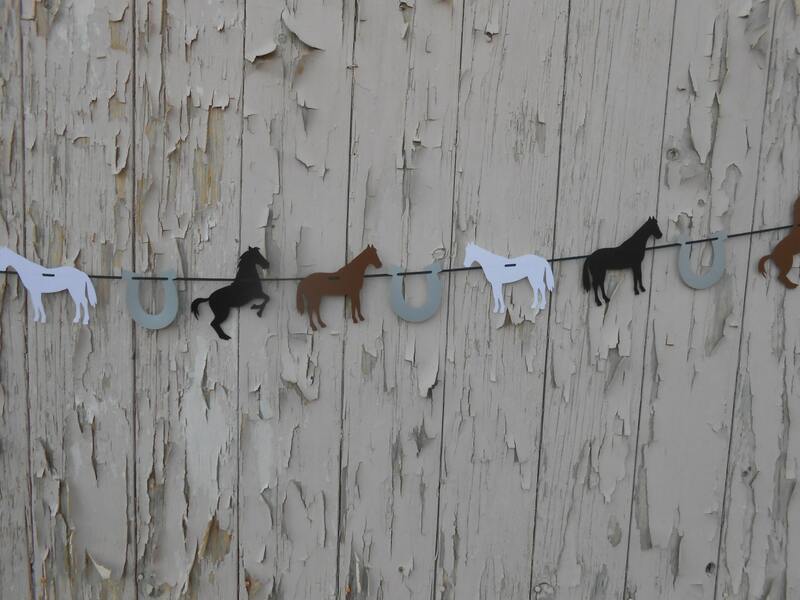 The garland shown has brown, black, and white horses, and silver horseshoes. PERFECT for a wedding, shower, birthday, or just to have hanging in your home. They are made from a sturdy cardstock and look great anywhere! ***PLEASE leave me a note at checkout with the colors you want! I can do these in ANY COLOR, AMOUNT, OR LENGTH! If you would like something different, just send me a message. I love custom orders and am more than happy to meet deadlines! These can be made with any animal, shape, letter, character, etc, etc. Discounts offered on orders of 3 or more garlands. Please contact me before purchase.